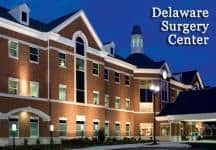 Delaware Surgery Center, located in Dover, DE offers a safe, sensible alternative to hospitalization when same-day surgery is needed. The Center is a modern facility utilizing “State of the Art” equipment and serves the community with professional quality care. Same day surgery now accounts for more than 75% of all surgeries. Thanks to advances in technology and anesthesia, surgeries that just a few years ago required hospitalization can now be handled safely and with greater comfort in a surgery center. Services are available in specialties including plastic surgery, gynecology, podiatry and ear, nose and throat. Anesthesia is delivered utilizing the Anesthesia Care Team approach, in which an anesthesiologist and CRNA collaborate to ensure safe and appropriate anesthesia care.